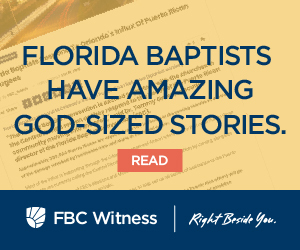 Our Florida Baptist churches are filled with stories of life transformation! Scott and Naomi, who attend First Baptist Church in Naples, experienced the power of Jesus to change their lives and now share their testimony to encourage others. Nothing is impossible with God! Listen to Scott and Naomi tell it in their own words.